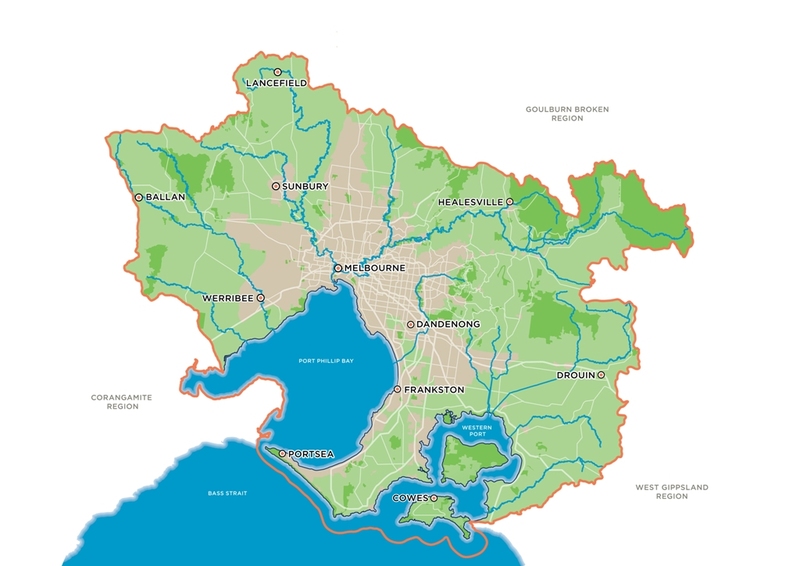 The Port Phillip and Westernport CMA (PPWCMA) is one of 10 regional Catchment Management Authorities in the state of Victoria. It was established in 2002 as the peak natural resource management body in the Port Phillip and Western Port region to develop and oversee the implementation of the Regional Catchment Strategy. The PPWCMA is a Victorian Government statutory authority established under the Catchment and Land Protection Act 1994 and is bound by the Statement of Obligations outlined in the Act. It’s responsible ministers are the Hon. Lisa Neville MP, Minister for Water and the Hon. Lily D’Ambrosio MP, Minister for Energy, Environment and Climate Change. Promoting community awareness and understanding of the importance of land and water resources, their sustainable use, conservation and rehabilitation. The PPWCMA works primarily with government departments, councils, water authorities, non-government environmental organisations and community groups to protect and enhance the natural resources within the region. The PPWCMA also works closely with the Victorian and Australian governments to secure funds for priority projects and direct them to organisations to undertake on-ground works. At the local level, the PPWCMA helps landholders improve their knowledge, skills and practices and works with the broader public to increase participation in environmental conservation and gain their input on important environmental issues. The PPWCMA’s vision is to have healthy and resilient ecosystems, catchments and bays in the region, which provide a major contribution to this region being an attractive and prosperous place to live, work and visit. The vision is elaborated upon in the Regional Catchment Strategy, which identifies environmental assets that are important for the health and productivity of the land, biodiversity and bays. It outlines agreed targets for the future and identifies the responsibilities of government agencies and councils.